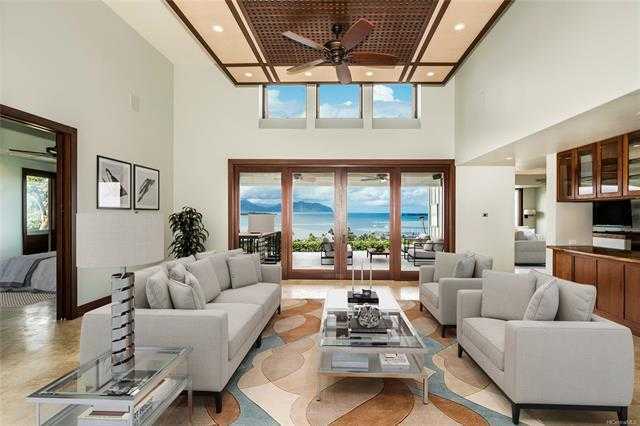 Imagine coming home to forever views of Kaneohe Bay and the Koolau Mountains… Situated on a quiet street, this architectural masterpiece is situated on an ideal location for the indoor/outdoor lifestyle. 18′ Ceilings in the great room and retractable pocket doors to the lanai make this a great place to entertain or simply relax and enjoy the sunsets from your hot tub off the back yard. This custom designed home by Geoffrey Lewis features gorgeous hardwoods throughout, a stunning kitchen, a master suite to die for and so much more. Bonus detached workshop over the garage. 28 Panel PV system. Must see to appreciate! Please, send me more information on this property: MLS# 201829692 – $2,000,000 – 44-109 Bayview Haven Place, Kaneohe, HI 96744. I would like to schedule a showing appointment for this property: MLS# 201829692 – $2,000,000 – 44-109 Bayview Haven Place, Kaneohe, HI 96744.